Williams Landscape Services has been a trusted go-to for residential and commercial landscaping for almost thirty years. We're located in Chapel Hill, NC, and we are proud to serve the landscaping needs of the entire Durham and Chapel Hill area. Explore our website today to find out how our complete services and landscape-enhancement program can serve you this summer. 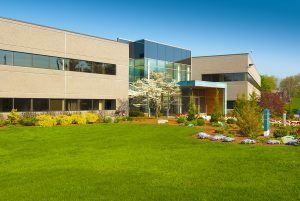 We are proud to offer a full range of commercial landscaping, hardscaping, and many other services to businesses and municipalities throughout the Chapel Hill and Durham area. 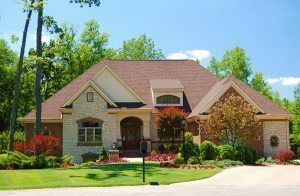 Homeowners in and around Chapel Hill rely on our experienced team for all of their residential landscape installation and maintenance, hardscaping, and other requirements. 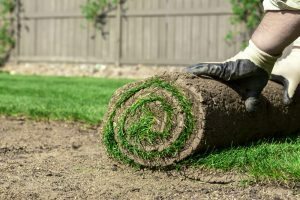 Our lawn-enhancement program is based on a proven strategy developed by NC State University to help make your lawn the envy of your neighborhood with absolutely no hassle for you. Check out the photos below to see what our decades of landscaping experience will do for you and your outdoor spaces. Established in 1987, Williams Landscape Services is a full-service landscaping company serving homeowners, businesses, and municipal clients in the Chapel Hill and Durham, NC area. We're a local, family-owned and operated landscaper you can count on to be straightforward, honest, and hardworking from your project's beginning to its completion. Our goal is to be the most responsive, reliable, and skilled landscaping service available in our region. When you choose Williams Landscape Services, you will receive personal service directly from our owner, Brad, and his team. We'll respond immediately to all of your calls and emails, and we strive to treat you like a valued part of our family at every stage of your project. Whether you're looking for a lawn care service or a complete ground-up overhaul of your home or business's landscaping, the friendly experts at Williams Landscape Services are your go-to partners. Whether you’re looking for more information or would simply like to learn more about us and our commercial or residential services, don’t hesitate to contact us. Williams Landscape Services is a local family-owned and operated landscaping company serving residential and commercial clients in the Chapel Hill and Durham, NC areas with decades of experience and full-service landscaping, hardscaping, and irrigation capabilities.